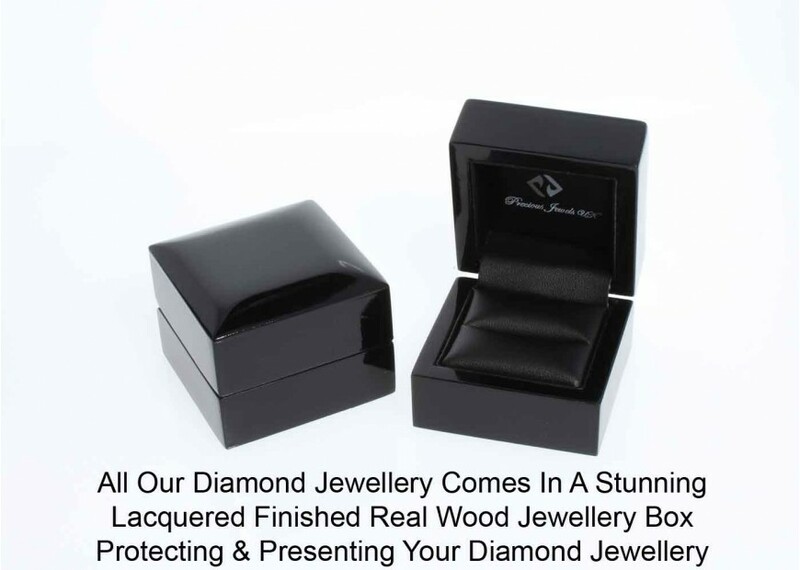 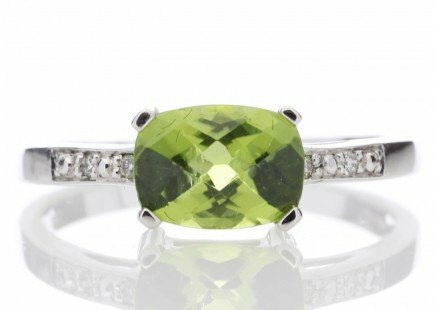 This stunning ring with a gorgeous sparkling green Peridot centre gemstone weighing 1.28 carats is nestled within a 9 carat white gold band with eight diamonds set into the shoulders, will add a splash of colour to any outfit. 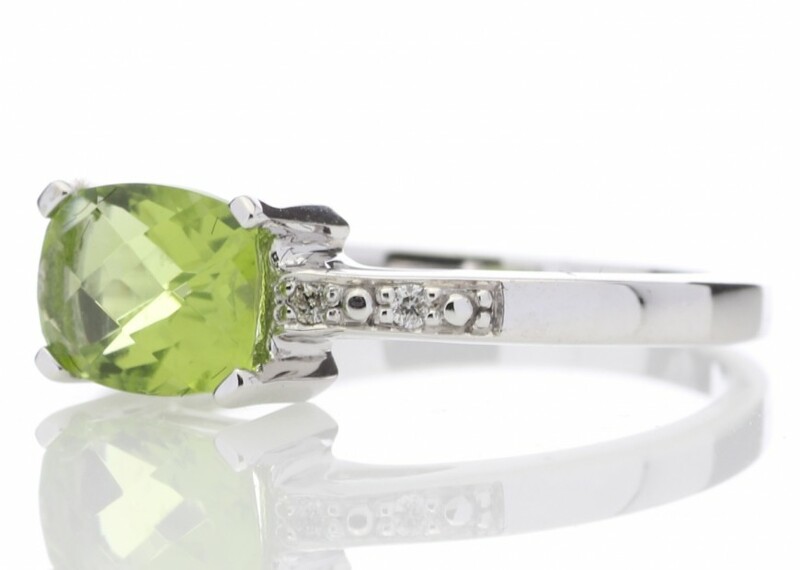 Peridot symbolizes strength. It is sometimes called the evening emerald for its light green colour. 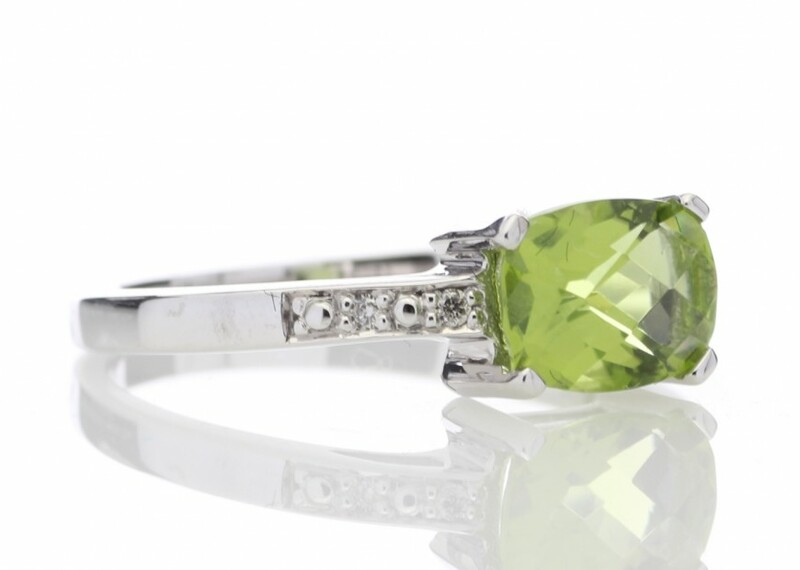 Reach for the sun with the Peridot crystal, an effervescent stone that harnesses the life-giving energy that turns night into day. 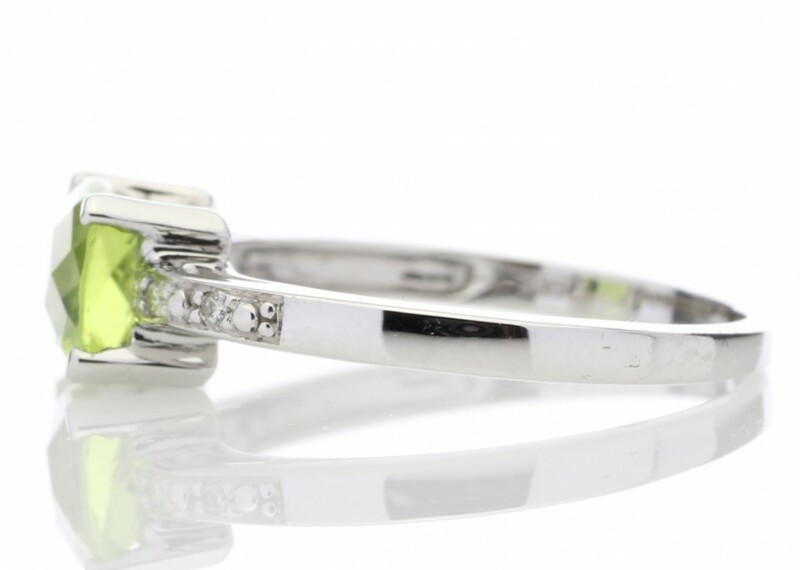 The Vitamin D of your healing crystal collection, the Peridot crystal meaning is connected to the sun, making it your spiritual cheerleader that keeps you on the sunny side of life.